It's a huge security suite, offering complete and various services for your computer defense system, thus protection of your PC is done with an effective antivirus, spam filter, firewall, file encryption, all this and more only with BitDefender Total Security. 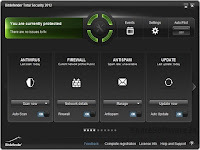 BitDefender Total Security 2019 offers one of the best antivirus tool on the market, giving you a powerful tool to protect your PC, and makes your system to increase its speed. It offers a good parental control, so you can protect your children by limiting their access to inappropriate web sites for their age, and you can also receive e-mail reports on their online activity while using home computers. Also it gives you the opportunity to speed up your PC, identifying the applications that slows down your system, so Tune Up feature allows you to analyze solutions to optimize the system before it removes something. - it offers you a great firewall protection, that protects your network connection from unauthorized access while permitting legitimate communications to pass. It can be installed much faster and easier than previous version, just with a few clicks and it gives you 2 GB online backup via SafeBox features, having a very simple setup, just specifying the types of files to which you want a backup. 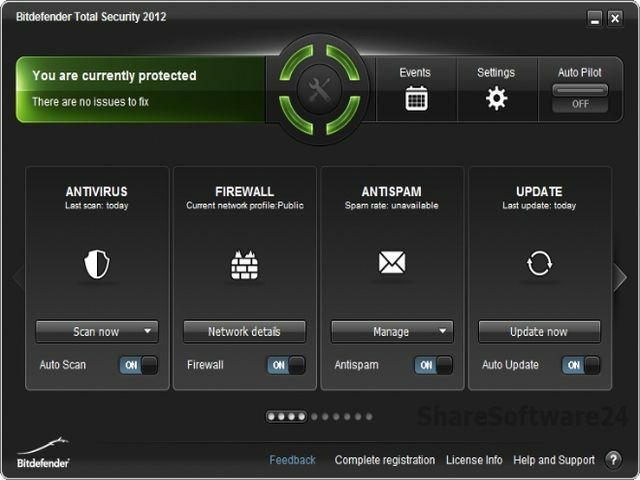 It responds to new threats quickly with cloud Integrated Technologies, and the Autopilot function offers a worry-free protection, taking the best decisions in your name, without annoying security notice, and if it finds complex malicious software that initially can't be deleted, they are transmitted in Rescue Mode - a safe environment in which suspicious software are removed or restored. Another novelty is that Scan Dispacher (a new feature), optimizes your system through antivirus scanning, because the scan is made when your PC is idle, that is when your system resources are below a certain level (low level) to avoid other tasks to be affected. It's a trial software limited to 30 days of use, after this period, you have to either buy a license or uninstall the program completely. HDD: 1.8 GB of free space. OS: Windows Vista with SP2, Windows 7 with SP1, Windows 8, Windows 10.